Children with cancer are at an especially high risk for excessive fatigue and poor sleep quality. At St. Jude, we’re working to find new ways to assess and treat sleep disruptions. The study of sleep and sleep patterns is sometimes overlooked, but the topic has become front and center with the announcement that the Nobel Prize in Physiology or Medicine was awarded to Jeffrey Hall, Michael Rosbash and Michael Young. The trio were honored for their discoveries of molecular mechanisms controlling circadian rhythm, which is the internal 24-hour clock in the brain. There are circadian cells in every organ in the body. If you’re not sleeping when your body thinks you should be, your life will be negatively affected. Sleep is crucial for our physical and mental health. I like the concept that sleep is the third pillar of health—along with good nutrition and good physical activity. But a lack of sleep can contribute toward such issues as obesity, heart problems, diabetes, depression and the tendency to engage in risky behaviors. Children with cancer are at especially high risk for excessive fatigue and poor sleep quality. Our research has shown that kids with cancer and other serious medical conditions are more vulnerable to pain and sleep problems than are their healthy peers. Because of that, we’re working to find new ways to assess and treat sleep disruptions. At St. Jude, we’re learning more about the role of sleep in our patient population. Lab studies show insufficient sleep and disrupted circadian rhythms can lead to tumor growth, but we still don’t know enough about that as it relates to pediatrics. We’re trying to figure out how sleep contributes toward helping patients successfully progress through treatment. If we can find ways to improve the sleep of patients—especially adolescents and young adults with chronic medical conditions—we can improve their quality of life. As children get older, they may not fall asleep until 10:30 or 11 at night, but they still require nine hours of sleep. 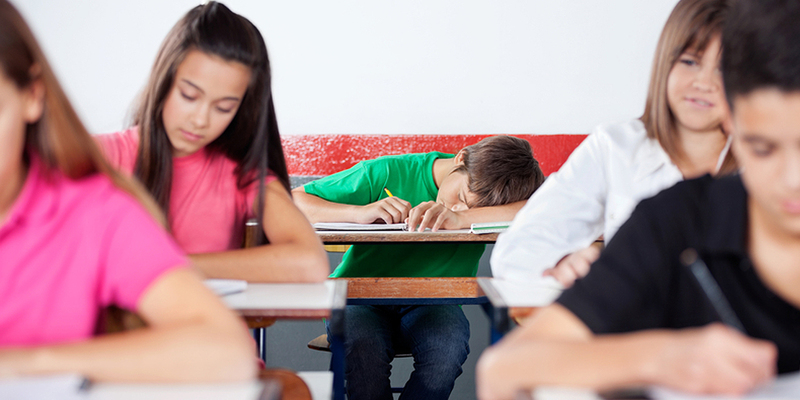 This can certainly lead to insufficient sleep when high schools start earlier than the recommended 8:30 a.m., leading to teens who are chronically sleep deprived. Teens and young adults are also at risk for developing insomnia. Recent research has shown that cognitive-behavioral treatment for insomnia may improve sleep quality in teens and young adult cancer survivors. And this treatment is effective whether it’s offered through in-person sessions or through interventions offered through videoconference. Those options may greatly increase the accessibility of assistance to this population. I’m also conducting research to better understand the role of sleep in patients who’ve had brain tumors and the potential impact on how they think and function. For instance, survivors of the brain tumor craniopharyngioma are at risk for cognitive problems long after treatment is finished. We’re currently studying the role that sleep and circadian rhythms may play in long-term cognitive functioning for these children. It’s exciting the Nobel committee is shining a spotlight on the study of circadian rhythms. Now it’s up to us to continue our research into sleep and insomnia, in pursuit of better quality of life for all. Valerie Crabtree, PhD, is an associate faculty member and chief of psychosocial services in the department of Psychology. View full bio.